Viognier, by itself, is a wonderful white varietal that will take your senses on an exotic tropical journey, being highly aromatic with sweet perfume and tropical fruit. However, when further infused with a tropical blend of natural ripe mango and savory pineapple, followed by gentle notes of banana & guava, you may as well batten down the hatches and set sail for a tiny island in the south pacific. 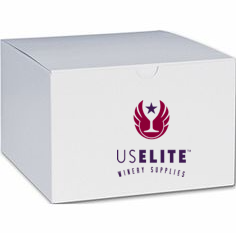 US Elite Tropical Fruits Viognier is the perfect match for your summertime guests looking to trade the hustle and bustle for palm trees and long, sandy beaches.